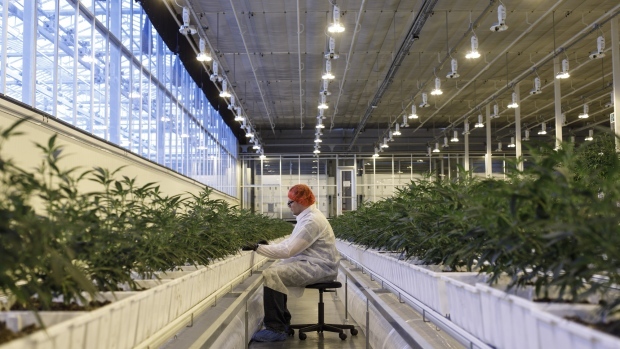 Aurora Cannabis revenue came in above analyst expectations as the cannabis producer provided the first real look of how recreational pot has fared in Canada in the first full quarter of legal sales. The Edmonton-based company reported $54.2 million in revenue in the second quarter, up 363 per cent from the same period last year and ahead of the $52.6 million analysts expected. The company sold $21.6 million of legal recreational cannabis in the quarter, accounting for approximately 20 per cent of all consumer sales across the country. Aurora also reported a $237.7 million loss in net earnings, down from the $7.7 million gain from the same period a year ago. It attributed the loss to “operating inefficiencies” that led to higher labour costs and unrealized fair value losses on derivatives. Green Growth Brands Inc. sees its future tied to the humble mall kiosk after announcing a partnership with Simon Property Group Inc. to open such stores in nearly 100 shopping centres south of the border. Green Growth plans to open kiosk selling about 40 different CBD-infused topical beauty products in 95 U.S. shopping malls owned by Simon Property Group, according to BNN Bloomberg. The deal comes amid a series of announcements from the Columbus, Ohio-based company as it faces an uphill battle in trying to convince shareholders of Aphria Inc. to accept its hostile takeover offer for the Canadian cannabis producer. The cannabis rush has engulfed luxury retailer Barneys New York Inc. which plans to open a “luxury cannabis and wellness concept shop” on the fifth floor of its Beverly Hills store, according to Bloomberg. The closely held chain of upscale specialty stores is partnering with the Los Angeles pot brand Beboe to open its new pot-focused shop which will sell marijuana accessories including rolling papers, pipes, ash trays, bongs and storage boxes, but no actual cannabis. The new shop is scheduled to open next month, according to a statement. Canada's new cannabis legalization framework may be off to a rocky start as some small producers in British Columbia say they’re losing their advantage of selling high-quality cannabis. To combat that, a movement is growing in the province to address that problem with a common idea: cannabis co-operatives, the Canadian Press reports. Grow Tech Labs and Victory Square Technologies recently launched a cannabis co-op this month that will begin with a province-wide consultation of small producers and processors who have been growing marijuana long before legalization.